Find out more about different levels of car insurance, what they cover and how you can ensure you've got the right car insurance for your needs. Third party car insurance is the most basic level of cover and the minimum required by law. An insurer – including Admiral – would pay out for any damage or injury caused to a third party, including passengers, animals, damage to property and accidents caused by a passenger or named driver. Third party insurance does not cover anything else, including repairs needed to your car, cover if your car is written off or cover in the event your car is stolen or destroyed in a fire. What does third party, fire and theft car insurance cover? The next step up is third party, fire and theft (TPFT). As the name suggests with this level an insurer would still pay out to a third party, but would also cover you if your car is damaged by fire or theft. In some cases this cover will also protect against an attempted theft, as long as you're not at fault. However, third party, fire and theft insurance won't pay for any other damage - for example, if you hit a wall, the wall would be covered as long as the policy holder is not the owner, but any damage to your car would not be covered. Comprehensive car insurance or fully comprehensive covers everything offered by TPFT, and it also pays out in the event your car needs to be repaired or replaced if it's damaged in an accident or suffers malicious damage. Comprehensive insurance undoubtedly offers the greatest peace of mind and can come with extra cover and benefits including windscreen cover, courtesy car cover and extended cover if you drive your car outside the UK. 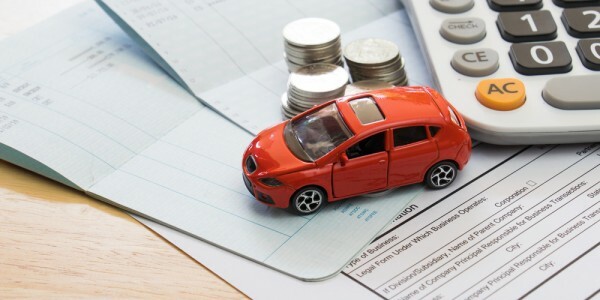 If you're using car finance to buy your car, the finance company may insist that it's comprehensively insured in order to protect their investment. While comprehensive cover may provide everything you need, bear in mind that there are additional features and benefits that may not be included with your policy including breakdown cover, legal cover or courtesy cars. When shopping around for car insurance, think about your needs and choose your additional features tailored to you and your car. If you have an older car and regularly drive on the motorway or drive long distances then breakdown cover will be a priority, for example. Bear in mind that every comprehensive policy is different – including Admiral Car Insurance – and each one comes with its own benefits. Which level of car insurance should I buy? If you're shopping around for car insurance then it's essential to find the right cover for your needs. Before deciding on a policy, check the terms and conditions thoroughly and make sure you're covered in the way you expect.